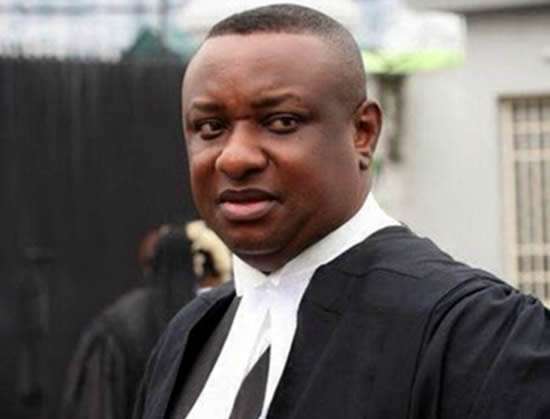 Festus Keyamo, the spokesman of the Muhammadu Buhari Campaign Organisation, says the Uhuru Kenyatta of Kenya did not debate, yet he won the presidential elections. Keyamo said Buhari’s campaign war room will be the ones to decide, collectively with the president, if he would be debating ahead of the 2019 presidential elections. “In the past, Buhari has taken active part in televised debate, so nobody can argue that he is somebody who is camera shy,” Keyamo said, while speaking on Arise TV on Monday. “So the decision, whether he would take part this time must be a collective decision of the entire ‘war room’. Giving, for example, those who are organising it and all the circumstances taken into consideration. “I do take as a basic rule that the Nigerian people must hear from their candidates, but the decision as to yes or no cannot be my sole decision. “The advice will be a collective decision, it is not my advise alone. Don’t forget that you cannot take these things in isolation of the circumstances. “For instance, it happened in Kenya, Uhuru Kenyatta refused to take part in debate December last year. Why? He felt the process was skewed. “At times, some things are designed and you know that they are core people there, who are hostile to government or who are hostile to your candidate as the case may be.